I’ve had so much fun sharing a different cookie recipe with you every day this week! I probably had just as much fun making them…and eating them! Don’t worry, I didn’t eat them all, I actually only kept one plate (now that’s impressive if you ask me). When I got married (5 years ago as of a week ago) we got many gifts, one of which was a set of two holiday themed towels. One of these towels has a ginger bread cookie recipe on it. I thought about making the recipe often as I used the towel and I had always wanted to try it but never got around to it. 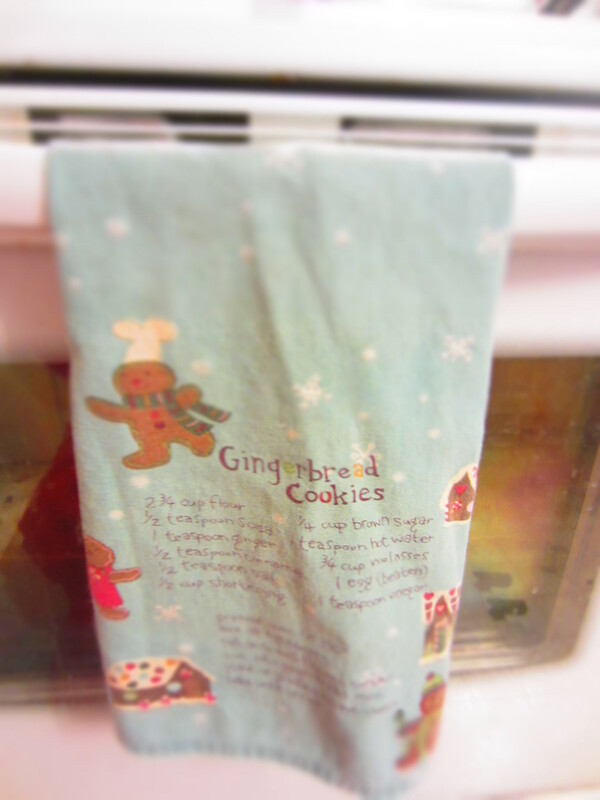 So I finally decided to try making ginger bread for the first time and put my trust in a hand towel. Well, it paid off. It turned out with a fabulous, rich flavor, they were not complicated to make by any stretch of the imagination, and the texture was perfect! By the time they were finished and cooled they were firmed up nicely (this would be a great recipe if you wanted to make a homemade ginger bread house, the walls would actually hold) but they weren’t so crispy that they tasted stale or crunchy. I figured out a couple of details of the recipe that aren’t on the towel. There wasn’t a bake time, it just said bake until brown…the dough is already brown, so how does this work??? So I baked them for 10 minutes and that was perfect. They looked done, not dried out, and not browning on the edges (a couple of thin ones browned on the edges and they were so crispy…basically burnt. Also I mixed the dry and wet ingredients separately and then put them together, that seemed to work well when it came to putting the dough together. My almost 4 year old son had such a fun time cutting out the “little men” and my husband and I now feeling inspired and want to take a whack at making our very own ginger bread house, or church, or stadium, or something (I’m sure I’ll share pictures with you if it happens). Preheat oven to 350 degrees. Combine ingredients (I combined dry in one bowl, wet in my mixer, then combined the two). Roll dough onto a well floured surface. 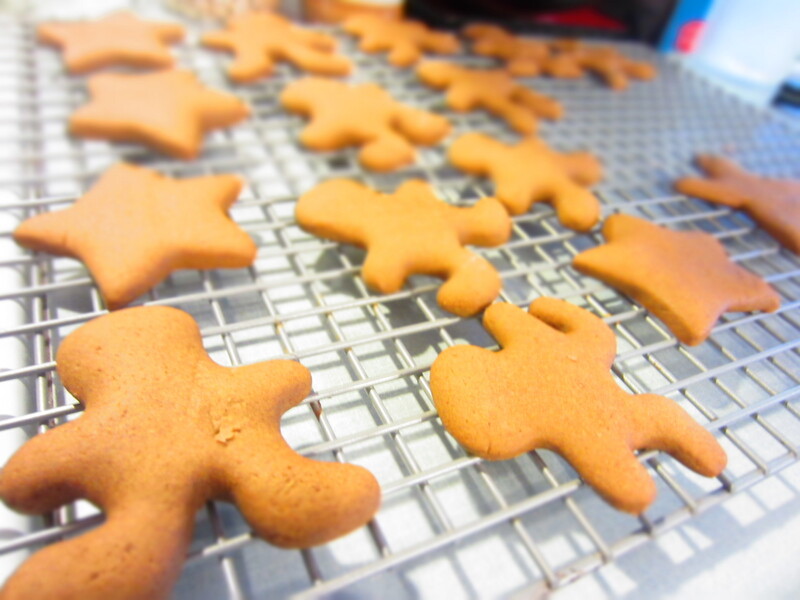 Cut into ginger bread men. Place on cookie sheet and bake until brown (10 minutes).